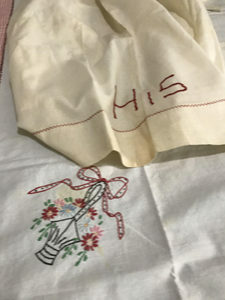 I’m the happy steward of vintage linens handed down through my mother that belonged to my beloved grandmothers, and a part of me is freaking out a little at disturbing them in the slightest. But the more pragmatic part of me knows that as long as they’re just sitting in a cedar chest, no one can enjoy them. 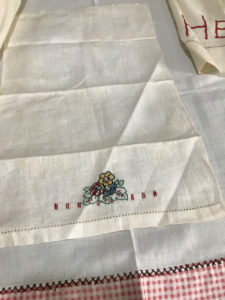 I’m looking that this tablecloth and pondering making it the centerpiece of a quilt, but I’d love to hear your thoughts. One of my grandmothers LOVED red, and her kitchen sported a lot of it, even painting the wall below the chair rail a vivid red. 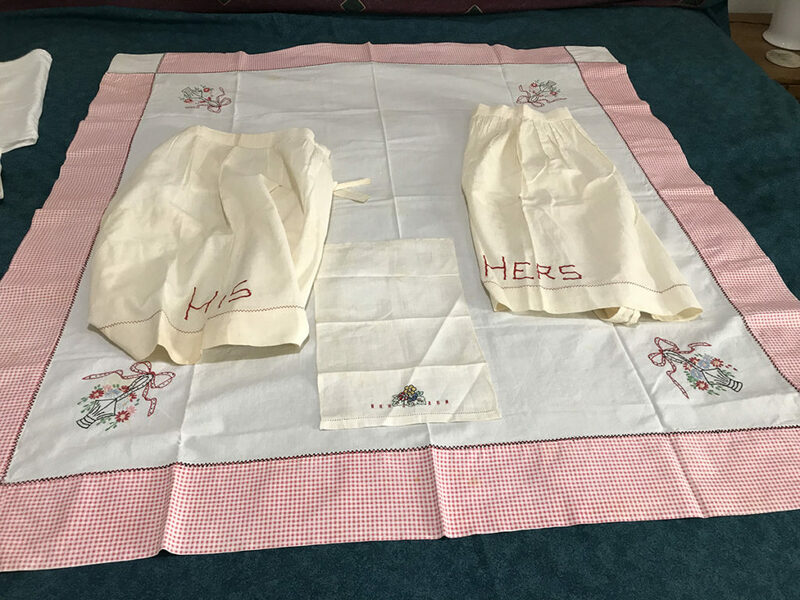 This was her tablecloth (for a much smaller table than mine) and the two aprons pictured here were also hers. 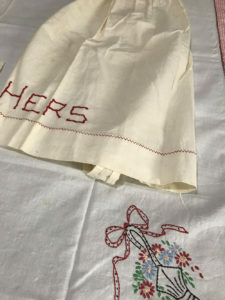 I’d love to combine them into a quilt, but the thought of cutting up these lovely aprons makes me squirm more than a little. But using them as aprons makes me squirm a whole lot more! What would you do with them if they were yours? Advice more than welcomed! Adding it to my endless list! LOL Thanks!